Despite recent fruitful attempts to elucidate microbial biogeography in more detail, knowledge of distribution still lags behind for dinophytes. Evolutionary phenomena, such as cryptic speciation and modification due to the environment, hamper reliable conclusions about the distribution of this important plankton group. We combined newly collected samples from the Black Sea (ten new strains from three localities) with occurrence data, which have been gathered extensively over the past decade, in order to provide the first global distribution maps of four specific ribotypes assigned to the Scrippsiella lineage (Thoracosphaeraceae, Peridiniales) collected at a total of 39 sites. They showed a wide, partly overlapping distribution and shared the presence primarily at the coastal localities. Differences in abundance of specific ribotypes were observed, but the ribotype corresponding to the globally most frequently encountered species Scrippsiella acuminata has not yet been found in the Black Sea. We discuss the significance of DNA-based records for distribution maps particularly of unicellular organisms such as dinophytes. 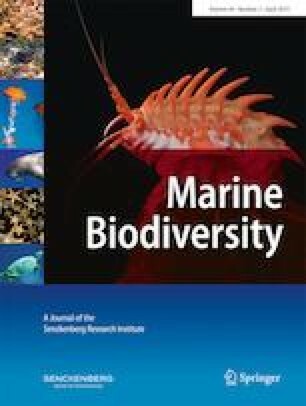 Based on a collective approach as exemplified in our study, we may start to understand in detail the ecological basis and the dynamics of the individual colonisation/invasion events, species establishment and consequent distribution in the microbiome, all of which have been changing drastically due to the ongoing climate change. The online version of this article ( https://doi.org/10.1007/s12526-018-0848-y) contains supplementary material, which is available to authorized users. We are thankful to all colleagues who have contributed to the global collection of dinophytes over the past years. We thank Nina Simanovic for improving the English version of the manuscript. The study was performed in compliance with the Convention on Biological Diversity (CBD).